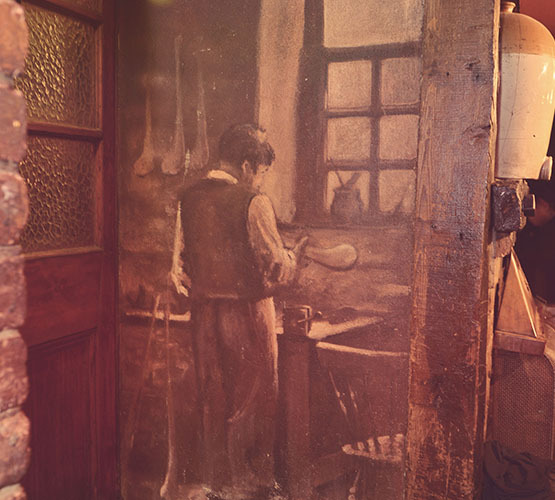 Geary’s Bar, known locally as Gough’s, has been in continuous family ownership for over 200 years. The centuries old brick-work and oak beams are still evident and any additions over the years have been carefully blended with the original. Daniel O’ Connell (The Liberator) addressed a huge public meeting in support of Catholic Emancipation from the bars third story window in the early 19th Century. 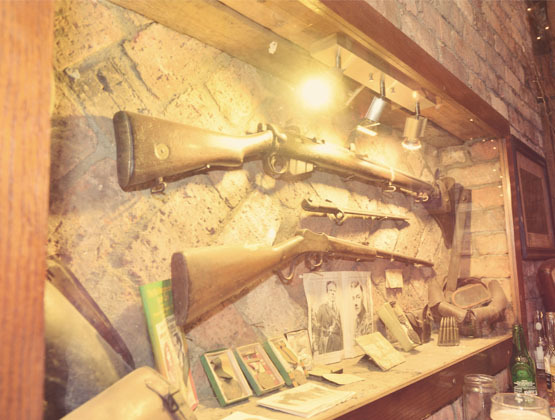 The bar is decorated with memorabilia of many important events in the history of Ireland and Charleville. In particular, there is a glass case containing the effects of Michael Geary, who was the local Commander of the Irish Forces during the War of Independence, 1918-1922. The premises includes a front bar, an inner lounge and a spacious beer-garden at the rear, which can be covered and heated in inclement weather. The impressive beer garden, which can cater for over 150 people, boasts a stage where live music is often performed by local and national talent such as Traffic, Tiny Giants and even the Coronas for Arthur’s Day 2013. 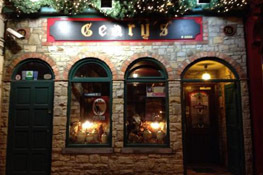 Geary’s is one of the busiest pubs in Charleville and is unique in the way that it can cater for large parties on the same night as attracting couples who just want a quite drink. Sport is well catered for in Geary’s Bar. GAA, soccer, rugby and racing all feature on the big screen in the bar and on the additional sets in the lounge and beer garden. For the Munster Rugby fan that can’t get a ticket for Thomond Park, the next best thing is a seat at the bar in Geary’s!